Your Premier Fly Fishing Shop in Pagosa Springs Colorado! 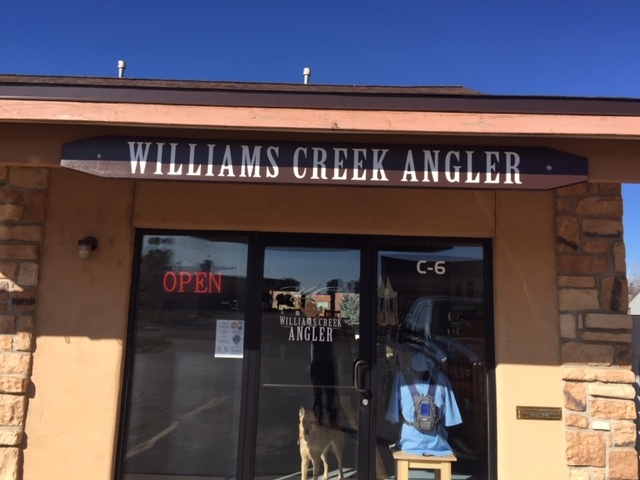 Based in Pagosa Springs Colorado, Williams Creek Angler is named after an area river and owned by experienced fly fisherman David Pehle. David has over 25 years experience in the fly fishing industry as a fly fishing guide and fly shop owner in the U.S. and around the world. His career in the Fly Fishing Industry started in Pagosa Springs in 1994. He started The America Cup International Fly Fishing Tournament in 2007. He is a proud supporter and volunteer of Project Healing Waters for over 10 yrs helping our nations veterans get out and enjoy our great sport! Also a volunteer fly fishing guide for Breckenridge Adaptive Sports. We are the proud National distributors of Soldarini Fly Tackle, bringing exciting new products to the U.S.
We have been in the destination travel business for many years. Some of our destinations include: Alaska for trout and Salmon, the Amazon for Peacock Bass, Bolivia for Large River Golden Dorado and many other great destinations. Check out the you tube video https://www.youtube.com/watch?v=UnhEmFnYxYM to see what competition fly fishing is all about!